We are strongly attached to our traditions in my family, especially traditions that are associated with food. We’ve been eating approximately the same Thanksgiving and Christmas for as long as I can remember. We’ve added dishes over the years, but nothing can be subtracted. I can only imagine the mutiny that would ensue if we tried to mess with the mashed potatoes at our house. 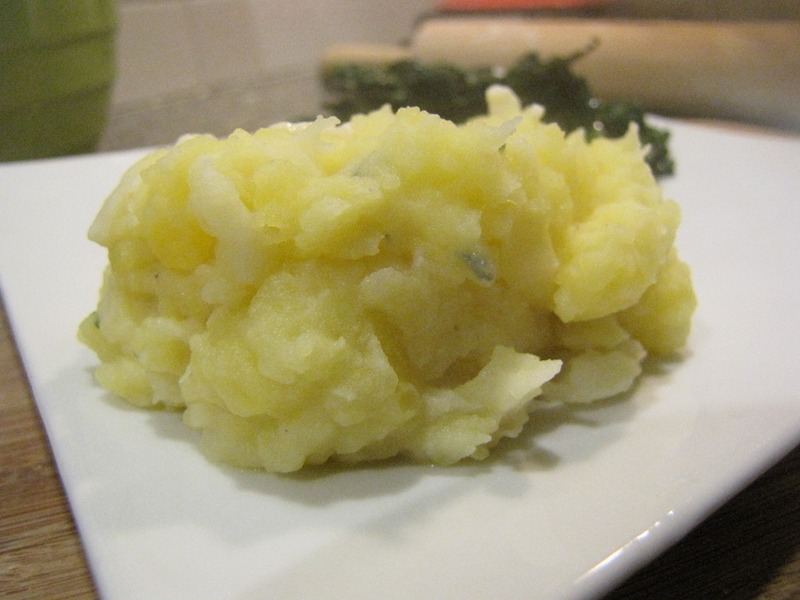 Mashed potatoes are a particular specialty of ours. We always fight for the leftovers, but somehow mashed potatoes almost never make it past the first round of leftovers. They are nothing fancy, just potatoes mashed with a heart-stopping amount of butter. Usually one of the cousins mashes the potatoes, so there’s plenty of plausible deniability about just how many sticks of butter went into the pot. I had potatoes, turnips and kale delivered in the CSA this week. I mashed together the turnips and the potatoes. I’ve done this before; to be honest I’m never quite sure what to do with turnips all by themselves. 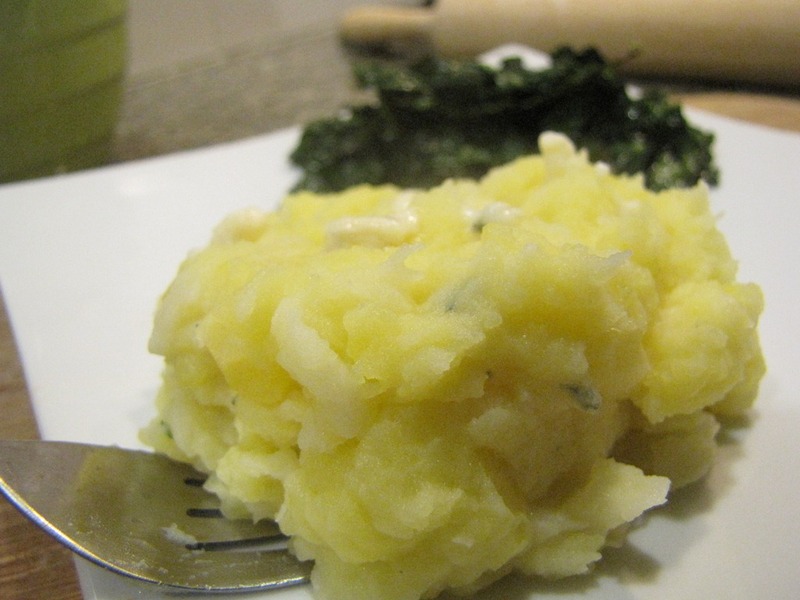 But turnips mashed together with potatoes add a slight sweetness to the mash and a creamier texture then you get with potatoes alone (unless you add several pounds of butter to them, of course). 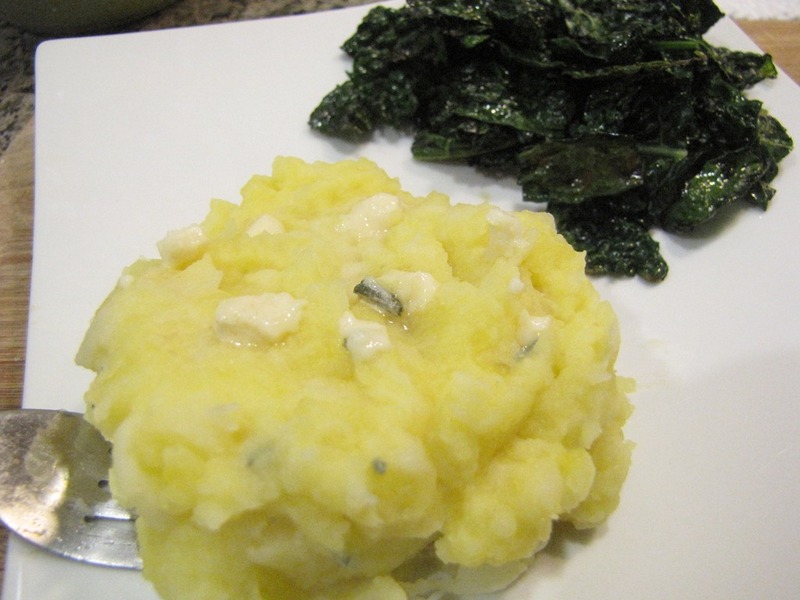 This is a wonderful dish; the blue cheese complements the slight sweetness of the turnips. However, since I can’t possibly mess with our Thanksgiving mashed potatoes (and really, I have no intention of messing with them! ), I’m happy to just have them for dinner. 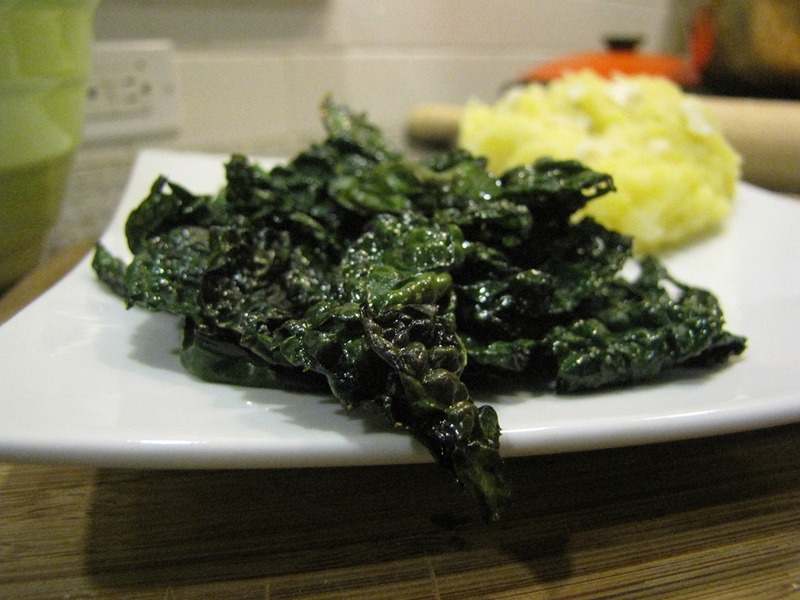 I sautéed up some kale with salt and pepper to pair with the really rich mashed potatoes, and the contrast was nice. I swear the potatoes that came in the CSA box were yellow, there isn’t really that much butter in them. I’ll save that for Thanksgiving. This entry was posted in Uncategorized and tagged cheese, food, kale, potatoes, turnips, vegetables, vegetarian. Bookmark the permalink.